While we all love to pore over the latest celebrity engagement rings, unfortunately the price tag isn’t within many of our budgets. There are many types of different engagement rings out there, all priced differently. Together with Angelic Diamonds, stockists of tension set engagement rings, we take a look at the various tiers of engagement rings and see which are the priciest. There are many different types of engagement rings out there and it can get overwhelming if you’re in the process of choosing one. Often, the appearance and cost of the ring are the two main considerations and these vary across the board. 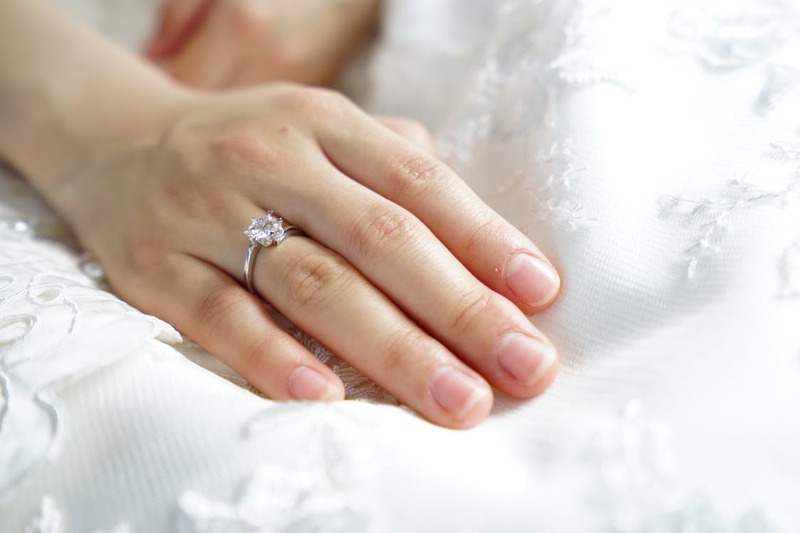 The most popular metals for engagement rings are; platinum, gold and silver. They differ in price and appearance and it’s all down to personal preferences! Platinum is a highly durable metal. In fact, it was removed from the jewellery market around the time of the war as the resources were used for military use instead. It’s more expensive than gold as it is around 30 times rarer. Since it’s a strong metal, it is also the purest - often sold at 95% purity. Pure gold is too soft to be sold, therefore it is mixed with other metals which can change its appearance. Yellow gold for example, is pure gold combined with a small amount of silver and copper - giving off a warm appearance. White gold on the other hand is brilliant, it is pure gold combined with palladium and silver or with nickel, copper and zinc. It is a perfect backdrop for diamonds and complements them beautifully. If you’re looking for something different, rose gold could be the one for you. This is pure gold plus copper gives off a red tinge. The more copper that it is combined with, the redder it appears. Sterling silver is another metal that is popular - it is the most affordable out of the others. Similar to gold, pure silver is too soft to make into jewellery. Therefore, it is combined with copper or other metals to improve its durability. The next aspect of the ring that can determine its price tag is the setting. Some settings have more diamonds in or require more craftsmanship - for this reason they can be more expensive. A solitaire engagement ring is the most popular style of engagement ring. It is a traditional style where a single diamond sits on a metal band and fits nicely with a wedding ring. Tension-set engagement rings are similar as they often only have one diamond on the band. In these settings, the diamond is held in place by the pressure of the metal and it is designed to ‘squeeze’ the stone. A halo ring has a large centre diamond surrounded by smaller stones that sit on the band. Often the band is bejewelled too which can increase the cost. Another ring with multiple diamonds in is a three-stone engagement ring. These rings have three diamonds on the band, often the middle diamond is the largest - giving off a glitzy appearance. Next to decide, is the shape of the diamond - some are self-explanatory such as an oval or round diamond however others may take some explaining. A princess shaped diamond for example is a popular choice. This cut is where the face-up profile of the diamond is square and the side view is alike to an inverted pyramid. Cushion cut diamonds are a mix of round and square outlines and are considered to be more of an antique style. There is also a marquise cut which is quite a dramatic shape - like an elongated oval so it can appear bigger than it actually is. When it comes to spending, don’t feel as though you have to spend the traditional ‘two to three months’ salary’ on an engagement ring. 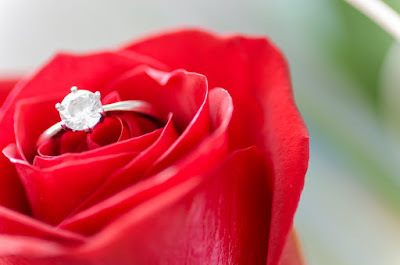 In fact, research by insurance company Protect Your Bubble showed that couples are spending 19% less on engagement rings than they did 5-10 years ago. Now, the average spend on an engagement ring is close to £1,000. Also, 18% of people spend less than £500 on an engagement ring for their other half.